Did I just say that?! Yes; yes, I did. Anywho, I for one have to eat my words. I really enjoyed this novel. The relationships between the characters seem real and they cover a wide range. I also enjoyed the world that Kasey created for the book (and hopefully series…). While we only get a few details in this book, I look forward to what the world could become given development over several books. I’m an avid fan of fantasy novels, so I think that the paranormal aspects of this romance novel really helped draw me in and keep me interested. I think that I’ll have to find some other works that have these same aspects moving forward. Although, I should probably also try out some other sub-genres within m/m romance to see if there are other threads I’d be interested in following. I also have to admit that I was a bit skeptical going into this novel, as the m/m romance genre seems to be dominated by heterosexual female authors and audience members. As a gay man, I wasn’t sure that novels in this genre would really appeal to me and be able to hold my interest; I was afraid that they would be too much like stereotypical heterosexual relationships that just happen to involve two male characters. While Inheritance had some of this vibe in the physical and emotional stereotypically-feminine traits of Sei, the characterization made sense in the context of the story. I still have fears that the genre may be wrought with girly-boys that end up simply being stand-ins for what would otherwise be female characters, but I’ll have to do more reading before I can pass final judgement on this point. 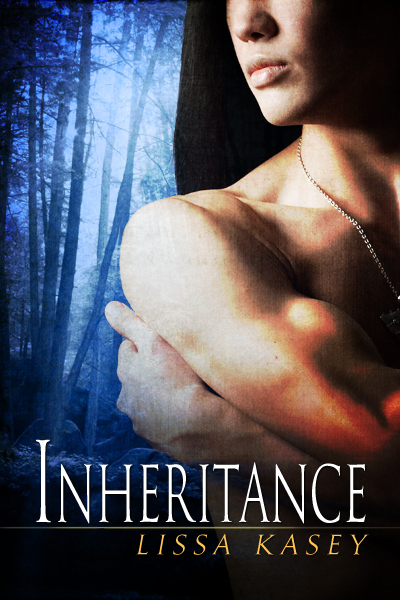 If there are more stories out there like Inheritance, though, I have nothing to fear. Interesting, I’ll have to check it out. I don’t know why I didn’t know that m/m romance novels existed. I always try to stay far away from those things because I’m afraid that they’ll just be full of offensive stereotypes, but perhaps I’ll give this one a try. Lately I’ve been surprising myself by actually reading a fair bit, and even stepping out of what I used to think my typical genre would be. Interesting thoughts you have; you make me want to give it a try.